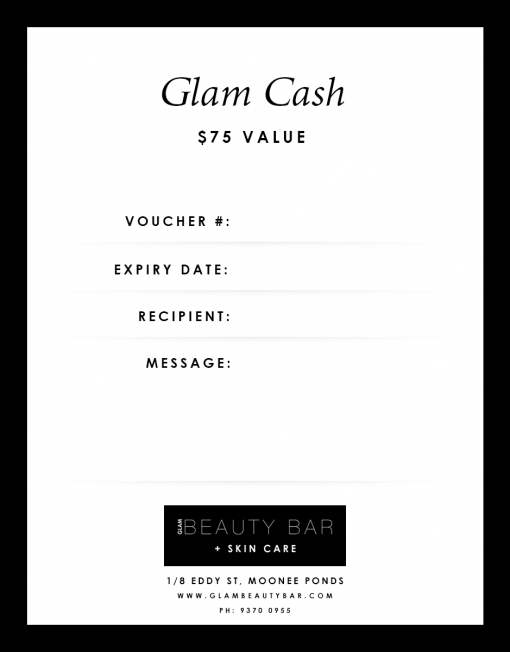 Glam Beauty Bar wants to Make gift shopping nice and easy. Once purchased you will recieve an instant e-voucher sent to your email address to be downloaded and ready to be gifted. Purchase an online Gift Certificate to the value of your choice for that special someone. Gift Certificates can be used in store at Glam Beauty Bar on all treatments and products in store. Glam Gift Card. The gift of giving this Christmas. Shipped directly to your inbox for print before Christmas. Gift cards can be used in store or online and are valid for 6 months after purchase. Gift Certificate can only be used for Treatments. Lost or stolen cards will not be replaced or refunded. You cannot obtain any cash advance with your Gift Card / Glam Cash or redeem your Gift Card / Glam Cash for cash. Gift cards / Glam Cash cannot be used to pay a store or credit account. 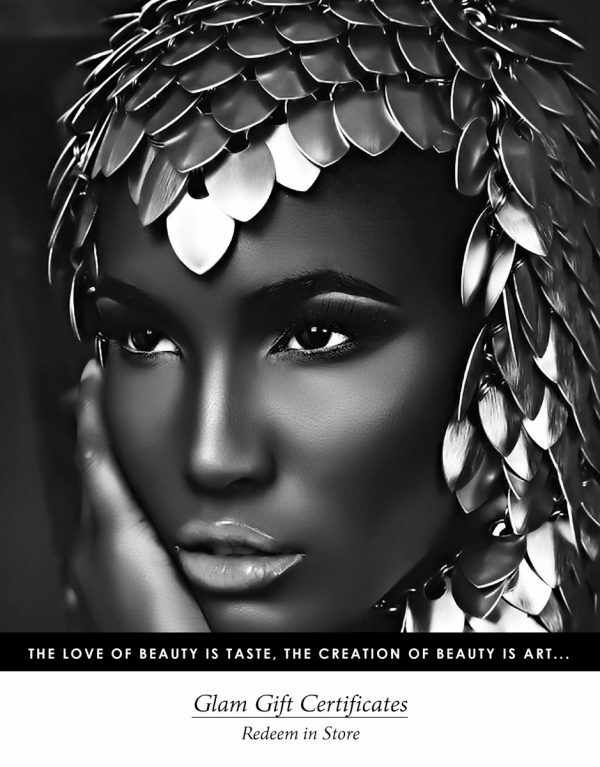 Re-issue of faulty or damaged Gift Cards is not available unless the Gift Cards are proven to be faulty or damaged as a result of the production process or otherwise due to the fault of Glam Beauty Bar, its agents or contractors or a participating retailer. Gift cards and/or Glam Cash expire within 6 months of date of purchase.